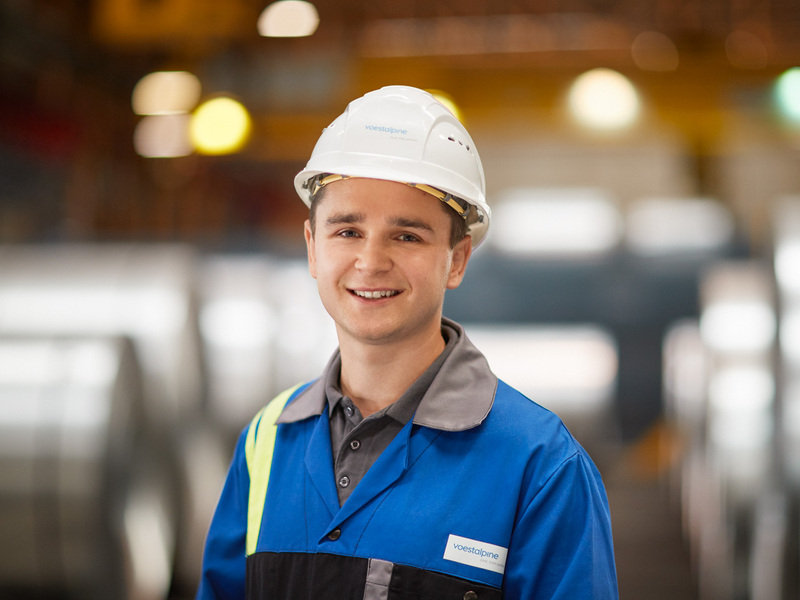 David Gabriel is responsible for maintenance and troubleshooting of measurement and control technology at the hot rolling mill on the voestalpine Stahl GmbH site in Linz. Every fault is new. And if it’s not new, then he has to come up with a new solution. "For me the demands fit perfectly. I don’t feel overwhelmed, but nor am I insufficiently challenged. That’s probably just the balance you need to find." David GABRIEL works in the Steel Division, in the CTA hot-rolled strip department, where he is responsible for maintenance and troubleshooting measurement and control technology in the hot rolling mill and on the push-pull pickling line and strip pickling. "I want to see what I can improve, how I can improve it, and occasionally also try out something new. That’s in my job profile."